Guy Fieri – restaurateur author, television personality and game show host – co-owns five restaurants in California and is best known for his television series on the Food Network. One of his restaurants, Guy’s American Kitchen and Bar in New York City, was parodied by Bryan Mytko (@bryanmytko). 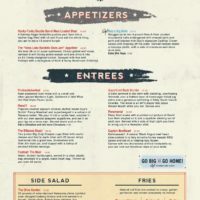 Guy purchased the domain name GuysAmerican.com but Bryan purchased the full domain name, GuysAmericanKitchenAndBar.com, in order to create a hilarious fake menu. 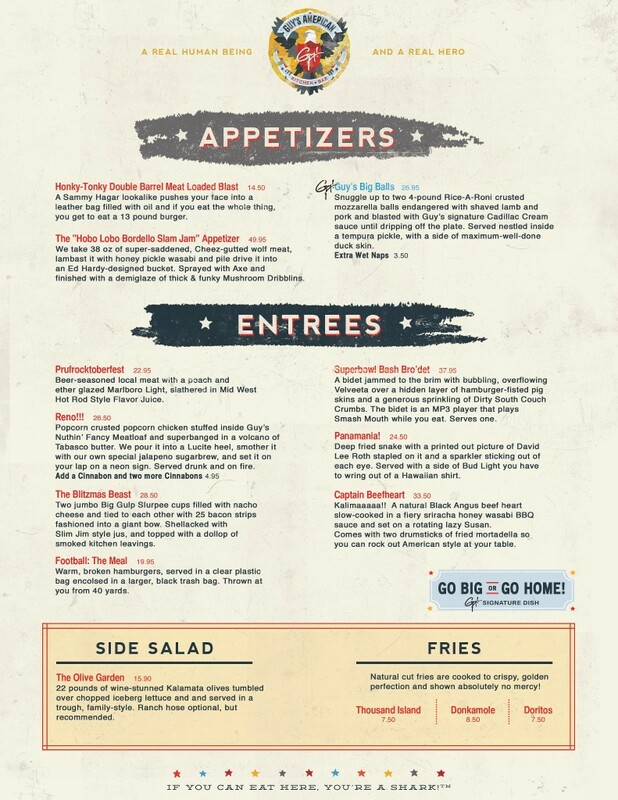 Mashable also has a great article on the fake Guy Fieri menu.